Photos to capture your coasteering highs! 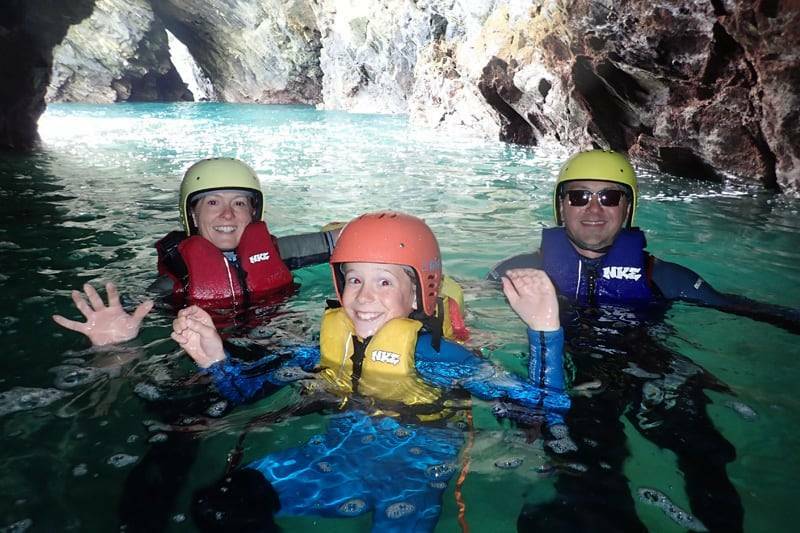 Bragging rights, feel amazing highs and unforgettable memories come guaranteed when you join us for a coasteering adventure – but did you really do it without a photo to prove it? This is your opportunity to get the most impressive profile pic ever. For just £5.99 we’ve got you covered. Add the photography package to your coasteering booking and we’ll capture all your glory moments. We’ll be right by your side and in the thick of the action making sure every leap, scramble and swim is caught on camera. While you concentrate on having fun and throwing yourself into the action we’ll be snapping away. We know all the best angles and prime photo spots so you can trust us to nail the key shots at the best time. Expect 5 – 10 shots of you in action. Back on dry land we’ll upload your photos to our online gallery within 48 hours (but normally sooner) and email you a link and password so that you can download the images direct. Then they’re yours to keep – print them, frame them or plaster them across your social media profiles (remember to tag us @newquayactivitycentre). Just let us know if you would like to add the photography package to your coasteering experience when making a booking or add it any time prior to hitting the beach.